With all the salt on the road during the winter months, somebody has to take advantage! These bison in Custer State Park South Dakota sure do. 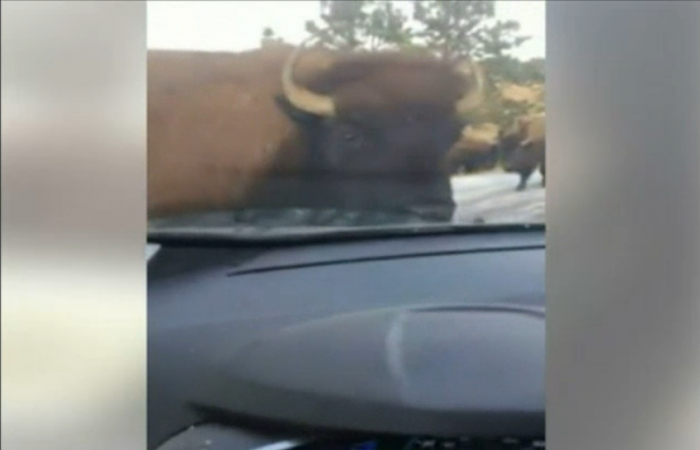 Check out this video of a family being stopped by a herd of bison licking the salt off their vehicle.